How in the world can we be just two or so weeks away from SPRING!? Well, I have read that the first OFFICIAL day of spring is March 20th at 7:02am EDT, but, for all practical purposes, March marks a springtime month! Didn't New Years just pass? Time always moves quickly, but I feel as though, in my neck of the woods, that time has been moving especially quickly these past months. Do you want to hear something strange? I love fall and winter so much, that I actually become a little melancholy each year, to think that I now have to trade them in for spring and summer. Sure the warmer seasons have some positives: gorgeous flowers, no need for heavy coats, sun shine..... but they also have a bunch on drawbacks in my mind: uncomfortable heat, long days, and more pressure to be social. Fall and winter on the other hand, they can be BEAUTIFUL! I can't say that many things are more striking than an autumn tree in reds or golds. Or, think of branches with new-fallen, white, soft snow. Fall smells good too, the air is crisp, we put on cozy sweaters. I also like that many people turn inward, spend more time at home. I'm a homebody, so it works for me personally. This year though, I've decided not to mind the soggy, wet, slushy, muddy spring that always perturbs me. I'll just wear rain boots and embrace it. 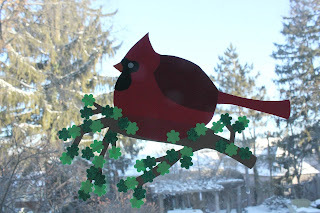 Some of my fun, spring goals are to come up with new springtime decorations for the front of the house. This time around, I want to use an umbrella motif! Isn't this door decoration from Midwest Living Magazine adorable? I'd love to make my own, and perhaps put a few little paper rain clouds or umbrellas up in the windows too? Or spring flowers instead? I have to come up with a concise way to tie -in with the umbrella. 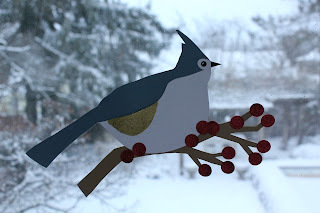 While most of the time, I choose to save money by making my own paper creations, Paper Source has some super cute craft kits. This Mums Wreath Kit comes to mind. Do you love it too!? Before I stray too far from the topic of springtime, here is my "Spring Has Sprung" board on Pinterest. I hope to add more spring ideas and inspiration to it, as the weeks go on! So what have you been up to? Anything good? 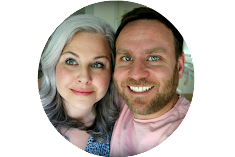 For me, I've stopped the Trader Joe's Challenge, but I've continued for the past two weeks, to try to do most, if not all of my grocery shopping at T.J.'s. I really think that they have good prices on many organic fruit and veg. Sure the selection in the produce department isn't the biggest, but, if you are willing to work with what is available, it's a deal! I also like their prices on organic dairy. Tonight, I cooked a mushroom soup for all three of us. Noah likes mushrooms, so I made him some homemade, fresh mushroom soup! Apart from momentary panic when I thought that I ingested a whole bay leaf, dinner went off without a hitch. It was so incredibly nice, to serve a meal that all three of us could enjoy. This soup is just lovely with lots and lots of mushroom and some garlic in a creamy broth. We really eat quite simply at home. Sure, once in a while, Jon might cook a steak for he and Noah, or I'll prepare an involved, multi-course meal, but for the most part, during these busy days, it's simple and kid-friendly too. Tonight with the soup, we had some toasted rolls for the boys, a nice, crisp salad and apples. This week, my goal is to get a larger variety of veggies into us. This post is really just a run-down of what's been going one, so please excuse the randomness! I've been meaning to share the following DIY with you for a couple of months. I've found such a fun way to save a few dollars, and get your clothes clean! As I have mentioned numerous times, I think about all of the women who have lived in our house since the 1860's. Ann, Betsey, Mary, Jane and Mrs. L. I would have to guess, especially for Ann and Betsey, who lived here pre-1900, that they might have made many of their own household goods and beauty products. Or, at least some of them! I'd like to be more self-sufficient for the fun of it, and well, for the accomplishment of it. 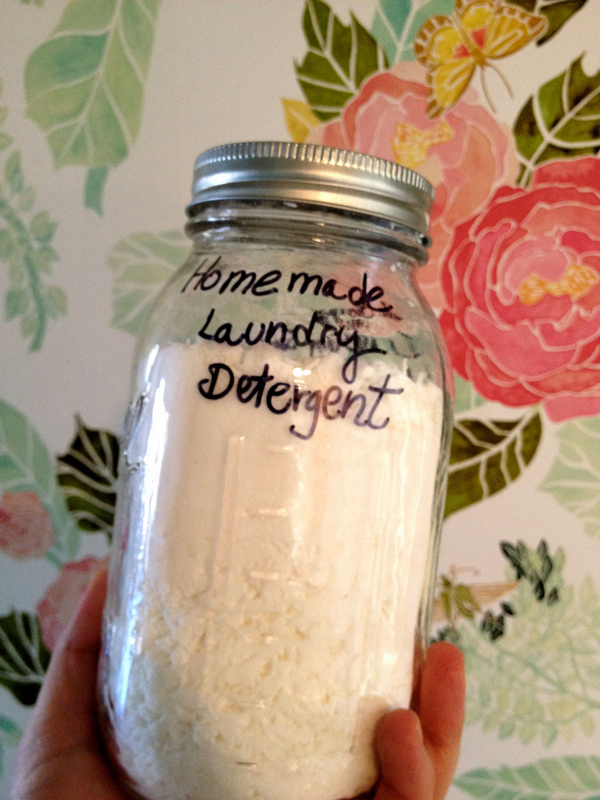 I also like the idea of using less chemicals and saving money. THIS is the recipe that I used from a blog called "Simply Designing". It was SO easy and fun to make, lasted months, and cost about a dollar to make! Everytrhing you need: Good old, Borax, some Arm & Hammer Washing Soda, and Ivory soap, was all found at my local market. 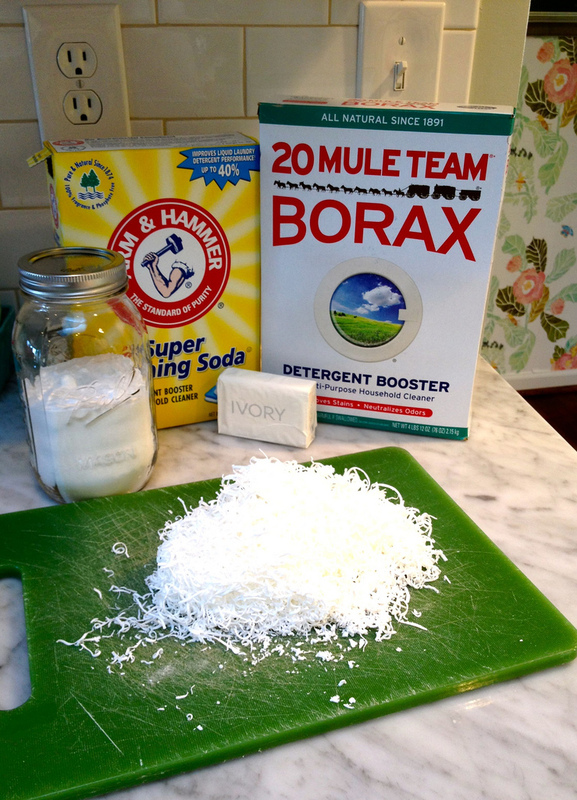 Basically, you combine a cup of the borax, a cup or washing soda , and one finely grated bar of ivory soap. Mix, store in a sealed container, and use one tablespoon per. load. That's all! Cool, right? 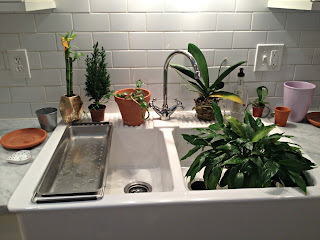 I wanted to take a portrait of my rag-tag bunch of house plants. Every Monday, we get together and I water them. Actually, now that I look, my large bamboo plant is missing, and Bubby's plant too. I've had the orchid for over two years, I love her. Plants are great. Ok, if this isn't reason enough to get into bird watching, then what is!!!!?? 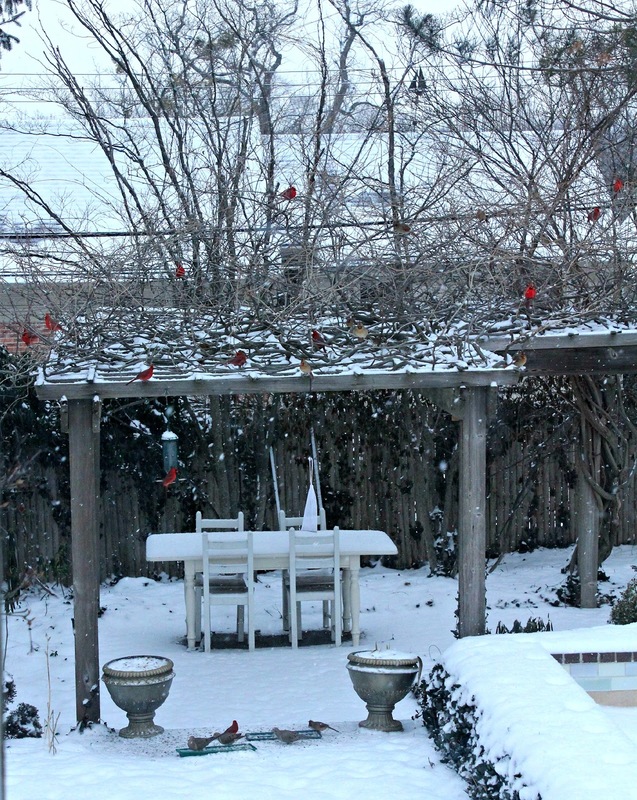 How many male and female cardinals do you count!? I've counted 19 when zooming in, but I remember there were even more birds outside of the frame. It was incredible! 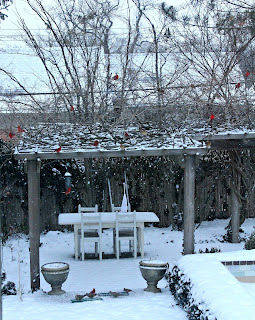 I learned that Cardinals join together in flocks during the winter months. It was so cool! We've had a couple of birds fly into the large windows at the back of the house. I decided to make some paper birds to stick on the windows, in hopes that no more birds run into them. First I made one of my favorites, a Tufted Titmouse. And after that, a Cardinal. 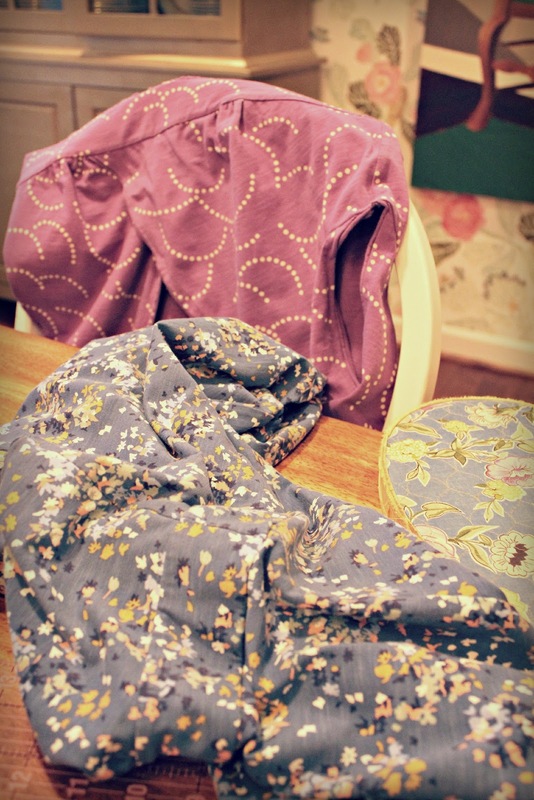 Another thing that I've been doing is hemming dresses. These two came to me from Boden a while ago. At first, I hemmed them as soon as they arrived, but after wearing them a couple of times, I felt that they were still too long. So, I went to hem then a bit more. The first dress came out nicely, but the second dress....which was the same length as the first, came out too short! Where did I go wrong!? They were the same! It was some kind of miss-measure on my part, but the moral is....check and RE-CHECK your work! I had to use the seam ripper to take the hem out, and that was about an hour and a half of work. Now my sewing machine is acting up, so I might just have to re-hem by hand. I hope I'm able to add a bit of length by re-doing the hem. Gah! Noah was a happy guy last Friday. It was another.....SNOW DAY! I'm glad for him. I just had to snap this picture, Noah and four of his favorite things at the SAME time.....Legos, computers, cereal and cereal bars. Being a kid is fun. It's almost Valentine's Day! Did you know that our anniversary is on Valentine's Day? It wasn't really on purpose, it was just the only day that the temple we were married at, and the reception location both had open days. I regret this, it's not a great day to get married on. It's not a huge deal, but all of the restaurants are packed and it's hard to find a sitter. Sometimes, like this year, our 9th!, we celebrate during the weekend. This weekend we'll just walk over to a local favorite of ours. It'll be fun. Anyway, I always volunteer at Noah's school's annual school-wide Valentine's Party. It's a huge event held in the evening, with tons and tons of food, music and dancing and crafts. I've run the "cooking decorating table" several times now. It's fun. Actually, it is a great way for me to enjoy the party, but also have a reason to stay in the relatively quiet cookie and craft room, verses the chaos of the DJ area. I planned my party outfit to be "Valentine-y" and fun. The only problem is, it was just all too purple. I needed some red and pink! So, I decided to learn how to crochet some hearts. First I practiced and made this headband for a favorite little friend of mine, Sadie. The next night, I was ready to make myself something for the party, and came up with this necklace made out of chunky yarn. It came out ok. I'm working on some more hearts right now, I don't know what I'll make with them, but hopefully something fun! 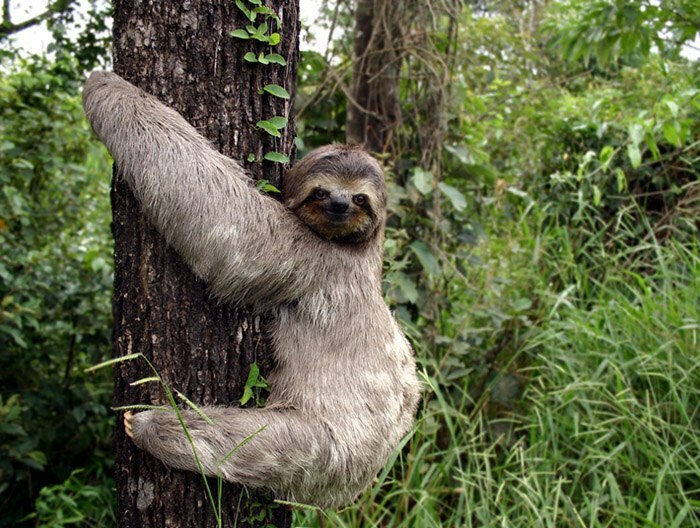 Anyone that knows me, knows that I really like sloths. I've loved them since I was a teenager. Aren't they adorable and peaceful and so....zen!? This was just a nice sloth picture that I came across this week. While going through my archive of old photos, this one flashed across the screen. I never gave it too much thought, until now. I kind of like it! 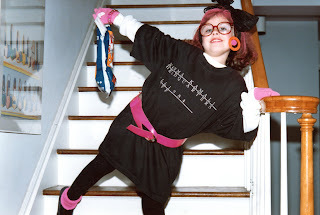 This was about 1985, I was Madonna for Halloween. I can still remember my Mom spraying pink hair spray on my hair, and hanging her earring on the side of my GLASSES because I didn't have pierced ears. LOL!!! Phew! And that is some of what I did this week! I hope you had a full and fun week also!